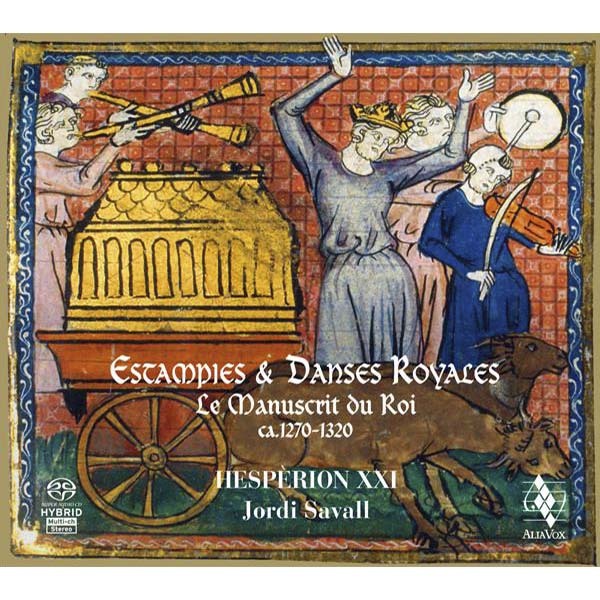 “The estampie is a musical composition without words which has a complex melodic progression (habens difficiles concordantiarum discretionem) and which is divided into points (puncti). Because of its difficulty, it totally absorbs both the performer and the listener, and often distracts the minds of the rich from wicked thoughts” – an echo of the profound and abiding conviction of those early minstrels and poet-musicians, who even then were aware of the powerful influence that music can have in the education of human beings. 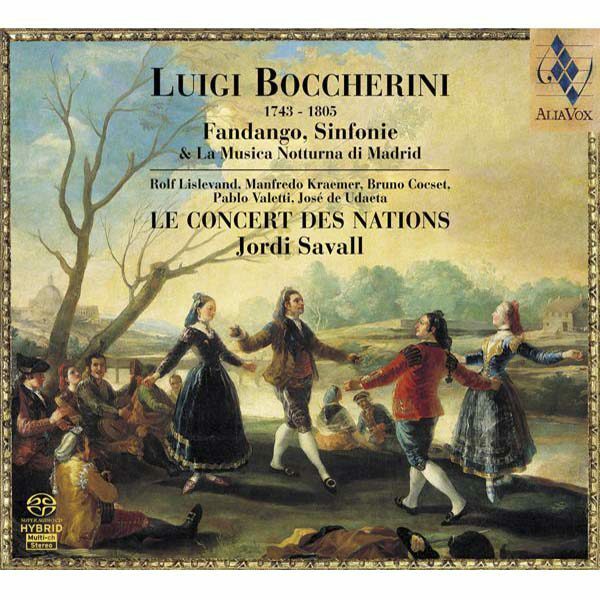 Our decision to record a complete version is justified not only by the uniqueness and importance of this collection, but above all by the beauty and energy of the music which, although ancient, is nevertheless truly modern in terms both of its improvisational quality and its brilliant structure and conception. Given that our remit lies firmly within the domain of what might be called “historically creative performance”, we shall not now go into the various musicological and historical aspects that have been so ably discussed in the interesting article by David Fallows which also accompanies this recording. Any artistic approach to the performance of a musical source so ancient and, above all, so void of musical indications, since the manuscript bears no objective indication as to tempo, instruments, function, character, ornamentation, etc., (and particularly in the case of the incomplete “La Prime Estampie”), poses considerable difficulties and challenges which force us to make a number of highly personal and therefore necessarily subjective choices. Having said that, the personal and subjective nature of the process is not incompatible with the demands of a thorough and rigorously historical and organological approach to musicological research. On the contrary, without that personal engagement we would have been confined to mere archaeology, unable to grasp the truly original and artistic dimension of works which, although creations of a bygone age, remain vibrant and fascinating even after seven centuries. Our choice of instrumentation, character, tempo, ornamentation and improvisation was based on a study of the principal historical sources dating from the time of the manuscript: namely, the numerous texts which refer to the estampie and the instruments on which it was played; poetic texts from the period, such as the Leys d’Amors which tell us that “the vielle-player plays chansons and estampies” and the “Minstrel who plays the vielle has a new estampie”, and above all the substantial body of theoretical and practical information contained in the principal treatises of the age, such as De Musica, published by the great musical theorist Jean de Grouchy, the Parisian commonly known as Johannes de Grocheo (c. 1255 – c. 1320). All this must be undertaken with the greatest possible care to render to the full the implicit richness and spontaneity of the music by adopting an approach which aims to rediscover the creative role of the minstrels, whose task is not merely to “interpret”, but also to “create” a genuine musical discourse and dialogue through their natural talent for improvisation. 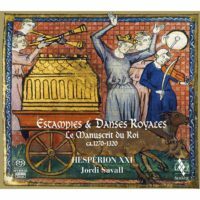 It is in this spirit that we have interspersed with these Royal Dances and Estampies four “Estampies Anciennes” based on an extempore instrumental performance of earlier troubadour songs by authors such as Giraut de Borneill (1175-1220), Marcabru (1128-1150) and Raimbaut de Vaqueiras (1150-1207), who (according to a contemporary biographer) composed his song Kalenda maya to “the tune of the estampie that the minstrels played on their fiddles”. This allows us to retrace the path, via the chanson, back to the original estampie which served as the model for Raimbaut’s chanson. 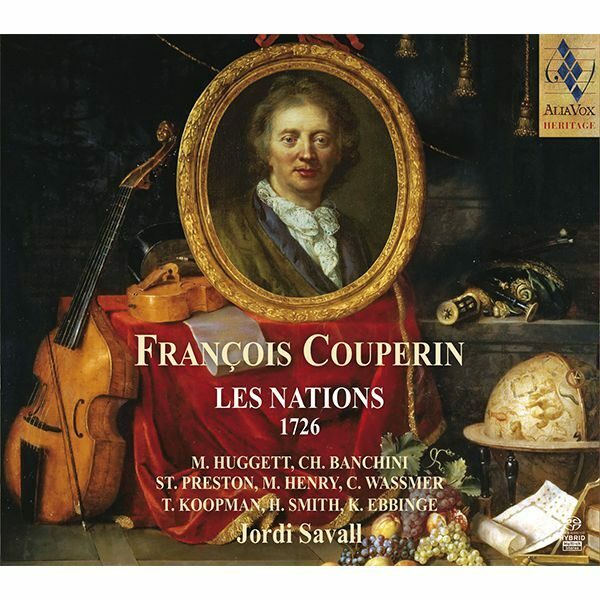 Let us leave the last word to the greatest musical commentator of the age, to Jean de Grouchy himself, who describes the nature, the possible uses and even the potentially beneficial social effects of performing the “estampie”: “The estampie is a musical composition without words which has a complex melodic progression (habens difficiles concordantiarum discretionem) and which is divided into points (puncti). Because of its difficulty, it totally absorbs both the performer and the listener, and often distracts the minds of the rich from wicked thoughts” – an echo of the profound and abiding conviction of those early minstrels and poet-musicians, who even then were aware of the powerful influence that music can have in the education of human beings.